Todd Hi-Sticking on the Credit River with an Indicator. 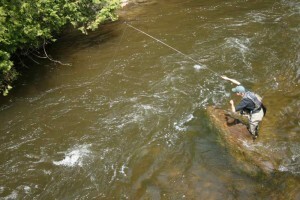 The Credit River can be fished in the same day as the Grand River for wild Brown trout, Brook trout and Rainbow trout. Atlantic Salmon are being successfully reintroduced, however, it is illegal to target this species at present. The Credit is a pristine watershed centered among rolling hills and escarpment. The crown jewel of Southern Ontario, the Credit River hosts a prolific invertebrate population that leads to some truly amazing hatches. Although the Credit has a well earned reputation of being quite challenging at times, the trophy brown trout make it is well worth the effort. Brown trout are the main species targeted in the Credit River, with brook trout also available to the dedicated fly fisher. 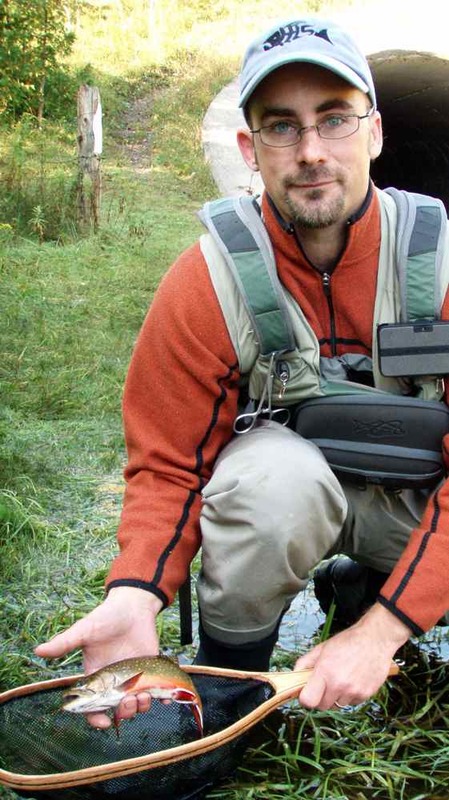 Some of the best fly fishing water in Southern Ontario can be found in the Upper Credit River. 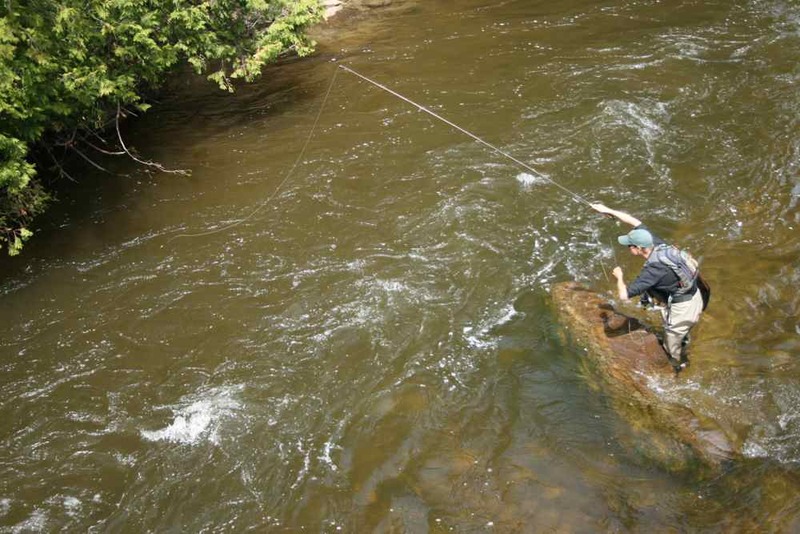 This stream trout fishery extends from north of the town of Inglewood all the way up the west branch of the Credit past Erin, and up the East (Main) branch to Orangeville and Island Lake. In this portion of the river can be found brook, brown, and rainbow trout. There are all types of water to fish, from the cascading whitewater of the cataract to the slow meandering meadow pools in Forks of the Credit Provincial park and the boggy swamp water north of Caledon. The fish in this river are some of the best fighting and most beautiful stream trout to be found in Southern Ontario. There is no and has not been any stocking of browns and rainbows for decades, so the fish are “wild” in the best sense of the word. There is suitable water for all techniques on the upper Credit, with most notably anglers fishing with nymphs, dries, and streamers. See twitter feed below for up-to-date info on the Credit River. Season Closed – No recent information available.